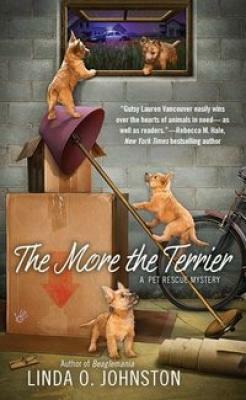 When shelter manager Lauren Vancouver finds out that her old mentor, Mamie Spelling, is an animal hoarder, no one is more shocked, and she jumps in to help re-home the cramped critters. But Mamie's troubles don't end there. She's accused of murder when the CEO of a pet shelter network is found dead. And Lauren's dogged determination to clear her former friend of murder may put a killer on her tail.